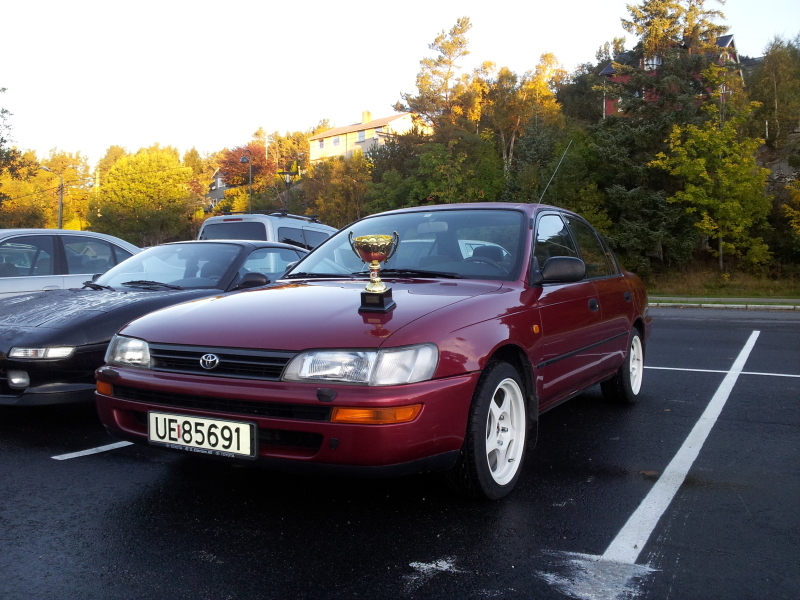 My Saloon: School/ AutoCross Rolla! 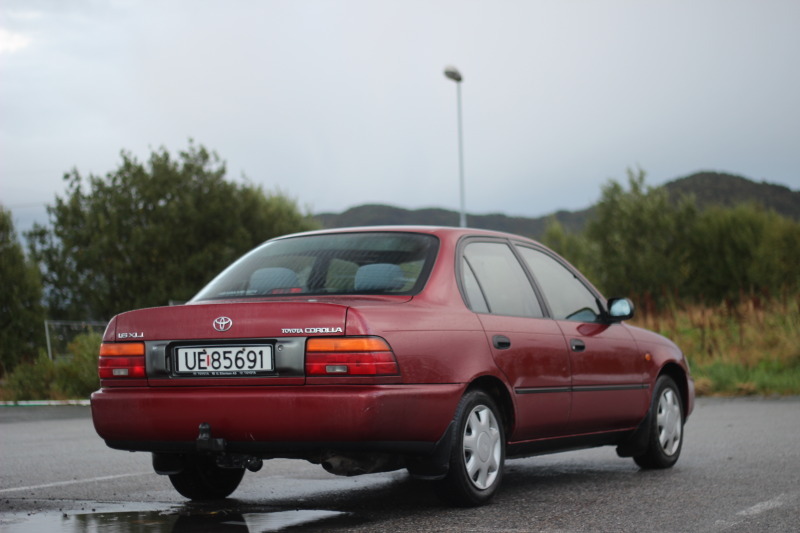 So i have bought a Corolla again, after driving a old Bmw e34 now for 4weeks. 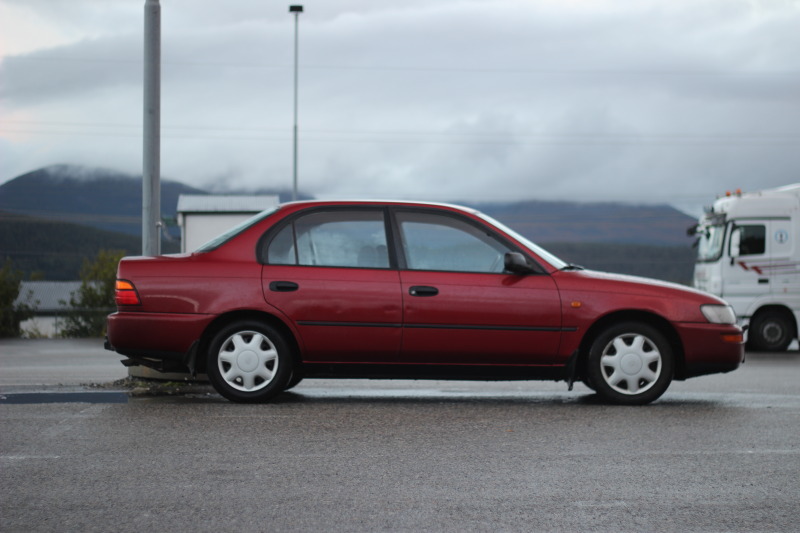 I wanted a nice simple car, for driving to school, and driving autoslalom in the standard class. - Antiroll bars/sway bars. Not sure what the best? Whiteline? Ultra racing? - Some styling to make the car look more agressive? Any ideas? A small spoiler/ lip on the trunk? A lip that is bolt on on the front bumper? Somthing inbetween the taillights, Reflex plate or somthing? You guys know it ! The normal easy styling. wow nice clean model, im pretty sure you said you bought a hatch? Looks very clean and in good condition! I like the colour it's very clean looking. Can't wait till your plans get rollin And whiteline I've found rather hard to get your hands on, so it's probably gonna be more expensive. I think Ishaq said he has a guy who could get UltraRacing stuff too? So that's probably your best bet. Yeah, looks abit booring now. Somthing my grandma would drive. Some dings around.. Bought it in the rain, so i didn't see all the scratches and dings. hehe Its a little bit beaten up, but its okay. 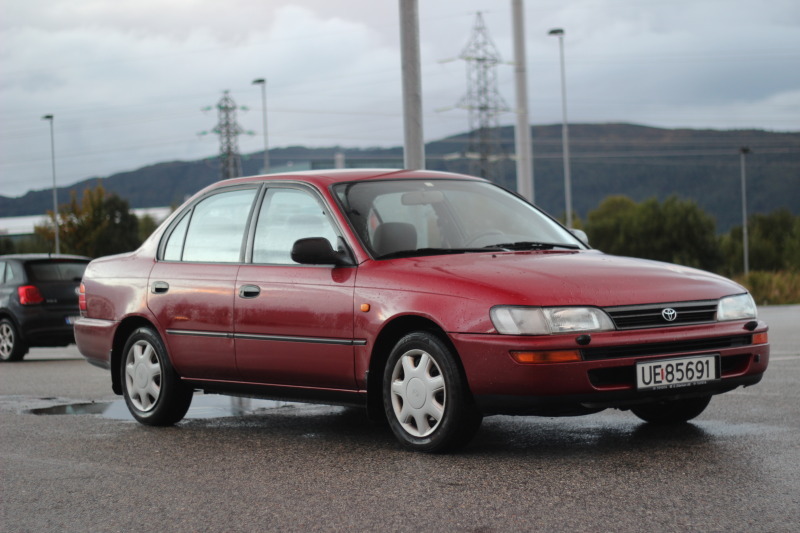 I wanted a rolla with a 4afe, and this was the only one available at the time. Ishaq, could you hook me up with this guy with some prices. I think i only need front and rear sway bars. I do not think i need the other bars.. or if you guys have noticed big difference on some bar, then i will consider it.. Tried Strutbars and "cages" under the car on my Mk1 Golf, but couldn't feel any big difference. Dang that's good. lol welcome back! First thing would have to be wheels and springs! And you should get that lip spoiler too. It's very simple yet very appealing upgrade in my opinion. First problem on my rolla! Driving home from school. Then the new Toyota GT86 got on the road in front of me. He gave it some, from 30kmt to 80, and My rolla followed closely..
Could se the guy looking in the mirror, clearly abit annoyed. 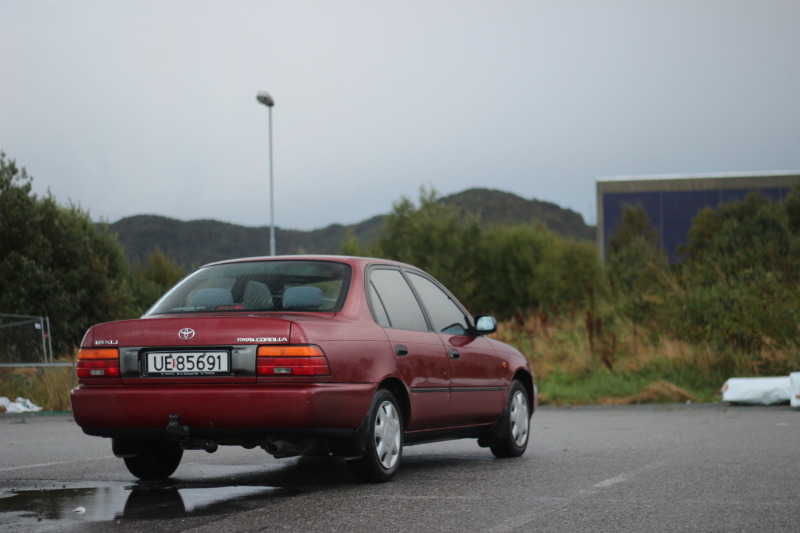 Oh well, atleast the Rolla got it's first drag with a granson of his. Atleast new belts will help lol, when was cambelt last changed? I do not know, i think it needs to be changed really soon. I will mount the 7a-fe head gasket and the new exhaust headers at the same time. I didn't really keep up, but i didnt get "parked" by the GT86 as a Corolla should by a 2012 sportscar..
Haha nice. Any engine bay pics? Also are you allowed to strip the interior? What about plexi glass windows? Theres afew 7afe aftermarket headers on ebay usa..
Nah, im not allowed to do anything else than changing shocks really. I'm going to remove the spare wheel when racing.. other than that, no weight reduction.. I'm going to wash the car, and go over with scratch remover on the worst scratches today Will take som pics of the engine bay.. even though its nothing special. 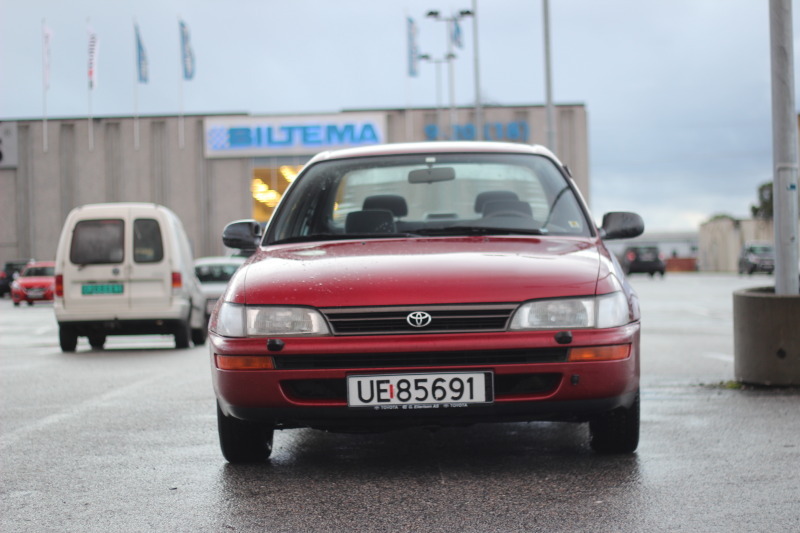 What about itbs of the 4age 20v? And cold air intake or box? I was just thinking of a intake that flow better, but looks original. Try bleeding first, and maybe the pads are bare? Will se what i do. its a race now the 27. I think some small mods, thats not considered power mods from the DMV is okay in the race.. So Exhaust headers and a cone filter atleast. And if i find some 4age intake that will be perfect. found out what caused the brake to fail. Both rear drums are getting hot when i drive.. No sound, and it rolls easy. But since i had been for a long trip the brake fluid probably boiled. Because when i drove it today, it was okay again..
Are you running on tarmac or grass?? It's tarmac. think i got my wheels at home now! First race tomorrow.. I might have to run in the beginner class, because of these rules.. i will update later this evening. 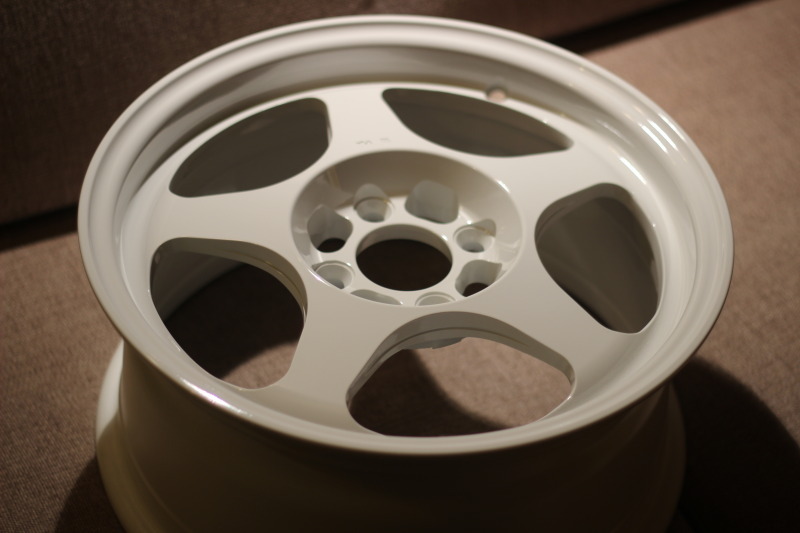 Only got two pieces..... hope the shipping guys have them all..
Subject: Re: My Saloon: School/ AutoCross Rolla!